Time I got A New Watch! Just before last summer, I purchased this gorgeous chronograph watch by DKNY. The watch case and bracelet is made of plastic and is bright white with gold detailing on the face and a stone set bezel. I love this style of watch, particularly its large size, which makes me think of it as a feminine men’s watch, if that makes sense! I always get compliments on it when Im wearing it and it looks amazing with a suntan. Ive worn it all last summer and right through the winter and I’m still not bored of it. This DKNY watch is very reminiscent of the Versace DV One range of watches. I’ve lusted after the Versace DV One for a few of years now. They’re ceramic and full of crystals, so so sparkly, but since Versace brought out the DV One, many other designer and high street brands have followed suit and created ones very similar- large faced watches with crystals. Although this DKNY watch isn’t as high quality as the Versace watch, with it being plastic rather than ceramic, at £130 compared to the Versace watches retailing at around £3000, it is a much cheaper alternative to achieve the same style but at a lower price. If I came into lots of money, I would definitely buy a Versace DV One but at the moment, my budget wont stretch to that. After all, it is a lot of money to pay for something that essentially just tells the time! As long as a watch looks pretty and is hard wearing, then that is what matters to me. Speaking of hard wearing, I quickly found that this watch wasn’t as hard wearing as I first thought. When I buy watches with diamante detailing, I ALWAYS take out the insurance to go with them as the crystals have a habit of falling out. For this watch, the insurance was £10 odd for 2 years which wasn’t too bad. If only I knew then, just how valuable that insurance would be. Having bought the watch around March last year, by September I needed to take it back to Ernest Jones in the Metro Centre where I bought it from as two of the stones had fallen out. The watch was sent away and it took around 8 weeks before I was able to go back to collect it. Upon collecting the watch, I realised that the repair person had replaced the missing gold stones with two white/silver ones which stood out like a sore thumb (you can also get this watch in white with a silver face where the gold is one mine). How ridiculous- who would repair a gold watch with completely the wrong stones?! I explained this to the sales assistant in Ernest Jones who was incredibly rude and said that I should wait until after Christmas to put it in for repair because the repair person takes a few weeks holiday over Christmas! Even when I showed her his mistake she said that there was nothing she could do. I took the watch back in January by which point it was cracked on main case of the watch right down past the large gold pin. This time, I spoke to a much nicer sales assistant who replaced the watch completely rather than sending it off for repair. I was really pleased that he had replaced the watch… until less than a month later the watch cracked in exactly the same place, so I had to return it and go through the whole swapping the watch process again. I don’t wear the watch when I’m doing anything particularly heavy duty and I’m always so careful with my things so I really think that it is a fault with this watch as it is a bit strange that it keeps happening in exactly the same place. I’ll still wear this watch, I love it but its really time that I got a new one as this one is just too fragile for a lot of wear. The gold against the white looks gorgeous though and I always wear gold, white and black together in the summer so I will definitely be bringing it back out over the summer months. But be warned, if you buy this watch, or one similar, make sure you take out the insurance- its been a godsend to me! How much is too much for a watch? Have you had a similar problem with this watch? 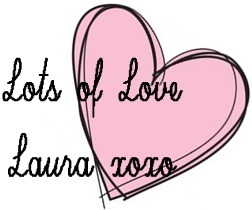 Next Post WhatLauraLoves has joined YouTube! Well…that dkny watches look so gorgeous on your wrist.